DFL President Dr. Reinhard Rauball, who is also the president of Borussia Dortmund and first vice president of the German Football Association (DFB), is celebrating his 70th birthday on Christmas Day. In the summer of 2007, the qualified lawyer, who was born in Northeim in Lower Saxony, was elected by the 36 clubs of the German professional football association to the position of president of the former league association, which has been trading under the name DFL Deutsche Fußballliga e.V. since 2016. Through his unanimous re-election at the General Assembly last August in Berlin, Dr. Rauball was confirmed for a fourth term in office. As DFL President, Dr. Rauball is also Chairman of the Supervisory Board of the DFL GmbH. He also serves as Chairman of the Board of Trustees of the Bundesliga Foundation. At the age of 32, Dr. Rauball, who had previously been active as a footballer at TSC Eintracht Dortmund, was elected to the presidency of Borussia Dortmund for the first time in 1979 and fulfilled this role until 1982. In his second term of office from 1984 to 1986 as well as in the years since his re-election to the BVB e.V presidency in 2004, he has contributed significantly to steadying the finances of the economically troubled club. In his third term of office, Dortmund won the Bundesliga in 2011 and 2012. In Dortmund, Dr. Rauball has also been a successful lawyer since 1976. After the resignation of President Wolfgang Niersbach last year, Dr. Reinhard Rauball joined the DFB in April 2016, together with Dr. Rainer Koch, as vice president, until the election of Reinhard Grindel. 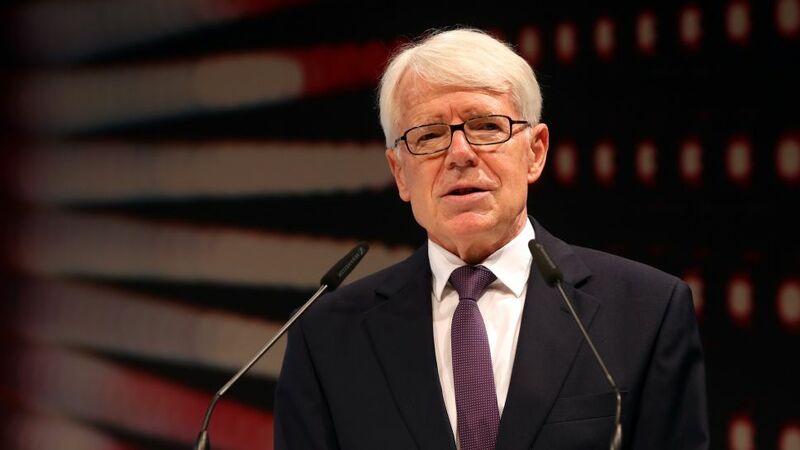 In difficult situations, such as the terrorist acts in Paris when the German national team were playing France at the end of 2015 and the subsequent cancellation of the international match match against the Netherlands in Hanover due to a threat of attack, Dr. Rauball was very close to the political decision-makers in the voting process. Politically and at every level of the game, Dr. Reinhard Rauball enjoys great respect, in particular because of his quiet, even and consistent nature as well as his great sportsmanship.